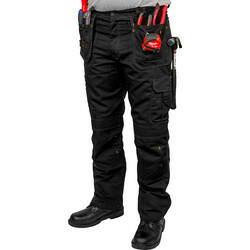 Find work trousers and shorts for everyday work in a variety of trades that protect, enhance and maintain from the Toolstation workwear range. Well-known brands Scruffs and Lee Cooper are renowned for their effective, durable varieties of workwear and can be purchased here in a variety of colours and sizes. For water repellent trousers, invest in a pair of work-guard trousers with a comfort waistband, knee pad pockets, tool pockets, smart phone pocket and a stylish fit. For an affordable premium trouser try the Lee Cooper 210 premium cargo trousers with 10 pockets including pen pocket and phone pocket. 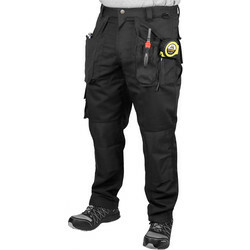 Scruffs work trousers with knee pads remove the stress from knees and are the perfect choice for most trades. Discover Scruffs box set that includes work trousers with knee pads and belt. 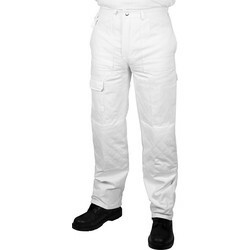 Find painters trousers that are ideal for painters and decorators - with cotton material to reduce paint infiltration and with knee pad pockets for enhanced comfort. 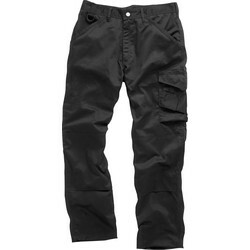 For trades that require frequent movement and flexibility, action trousers or work shorts are ideal. 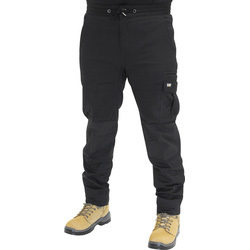 Find action trousers with multi zipped side pockets and twin stitched seams for reinforcement as well as many other hardwearing trousers with various inside leg lengths available. 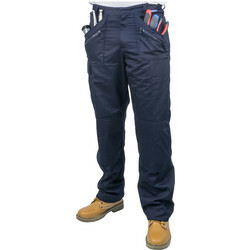 Scruffs worker lite shorts are created for the workman in mind and ideal for summer as they are lightweight and flexible with reinforced stress areas. 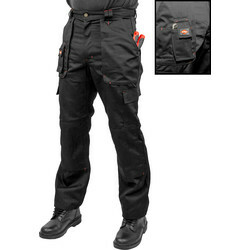 Toolstation are pleased to stock a large range of work trousers from the Scruffs workwear range which is available for click and collect or delivery. 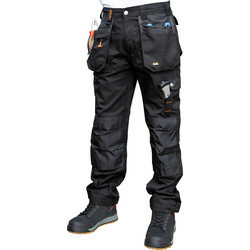 Scruffs is a well-known workwear brand, valued for their high quality, functional and fashionable work wear. Find a variety of Scruffs workwear for purchase online including shorts, different trouser types such as combat, jeans and waterproof, with styles available for men and women. Spend over £10 online and receive free delivery or choose the click and collect option at checkout and collect from your nearest Toolstation branch.